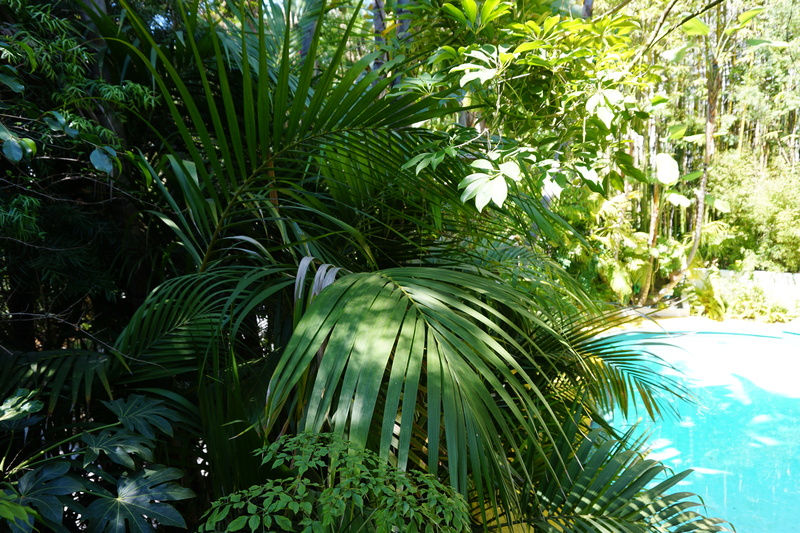 You can purchase small plants at most garden and home improvement centers and they make very nice indoor plants. I bought one this summer at my local home depot and it grew super fast! 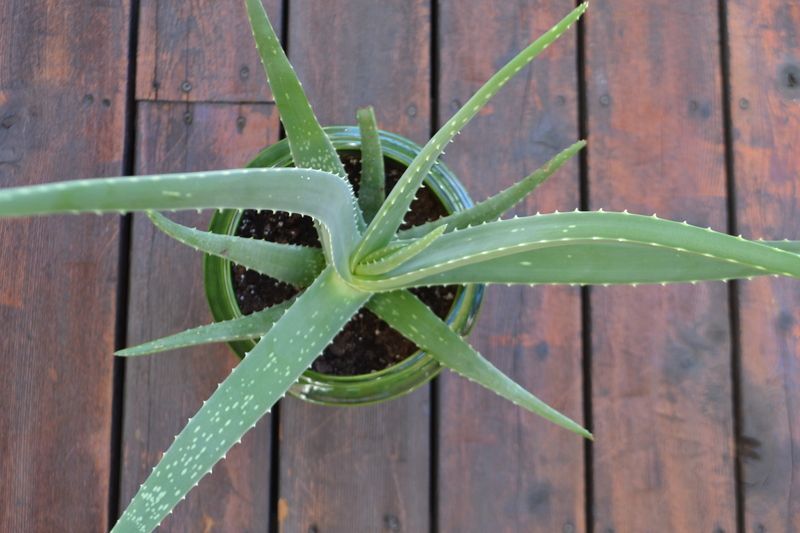 The simplest way to use aloe vera gel is straight from the plant. 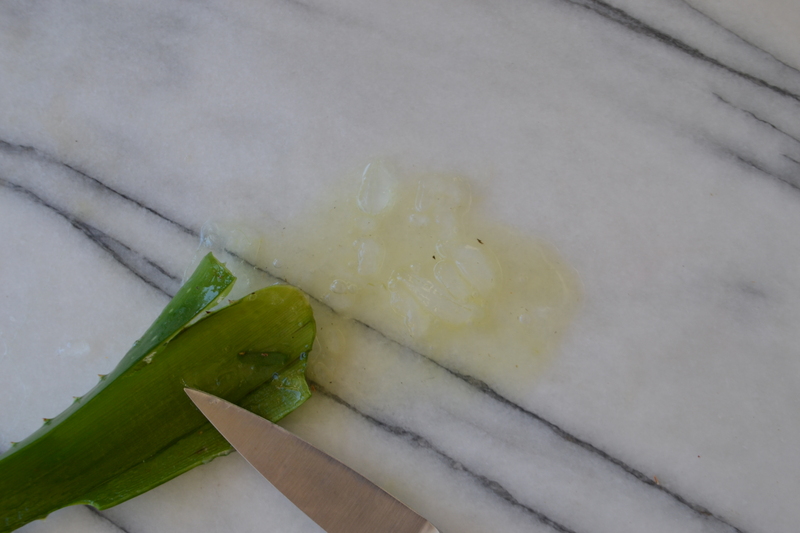 Simply cut open a thick leaf and squeeze out some of the thick clear jelly onto your skin. These plants grow from the inside out so pick the outer leaves closest to the soil. It is especially soothing for small cuts, scratches and insect bites. 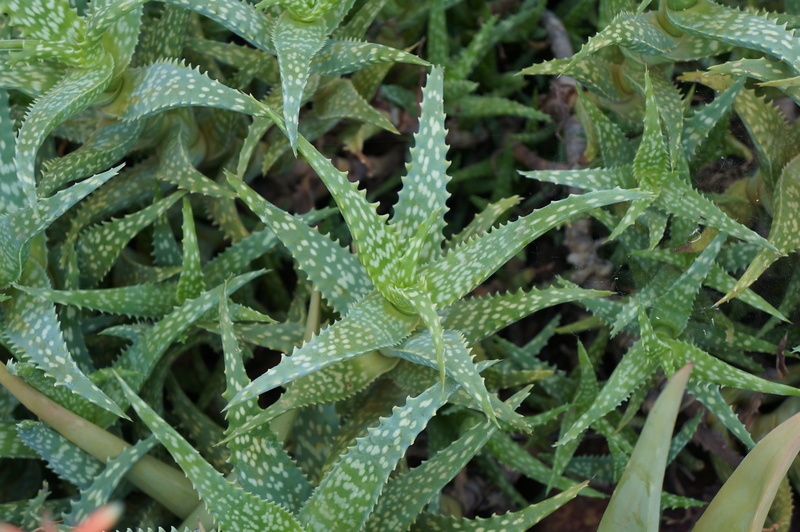 The use of aloe vera gel as a skin beautifier can be traced back to ancient times. According to numerous ancient writings, Cleopatra herself attributed her clear complexion to the use of aloe mixed together with a bit of olive oil. Mix together all ingredients and pour into a clean container. To use: massage into your face and neck and rinse well with warm water. 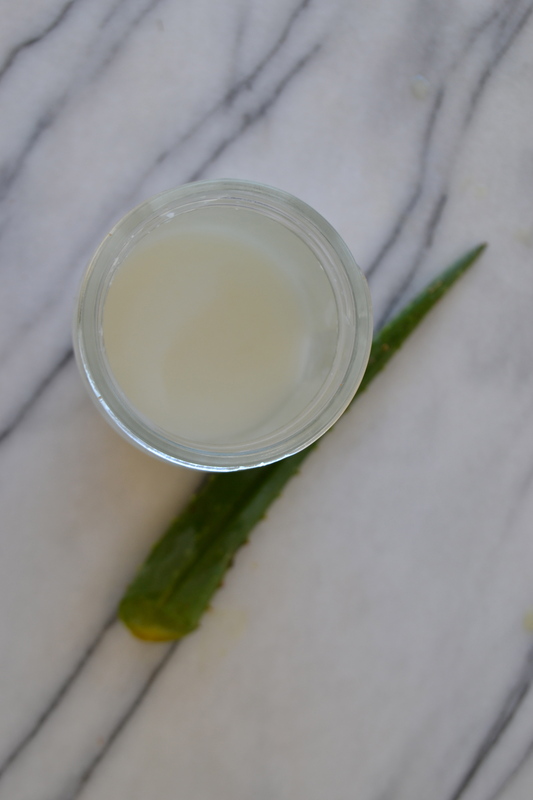 Aloe vera gel is soothing to your skin because of it’s high water content. It also helps protect and soothe dry lips. 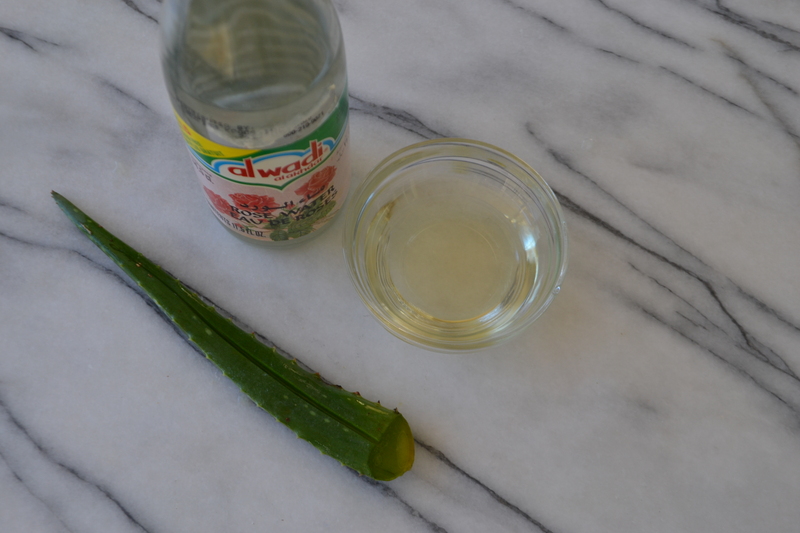 mix together the aloe gel and oils, and stir well. Pour into a clean container or small jar. To use: Apply a small amount to your lips using a clean fingertip. 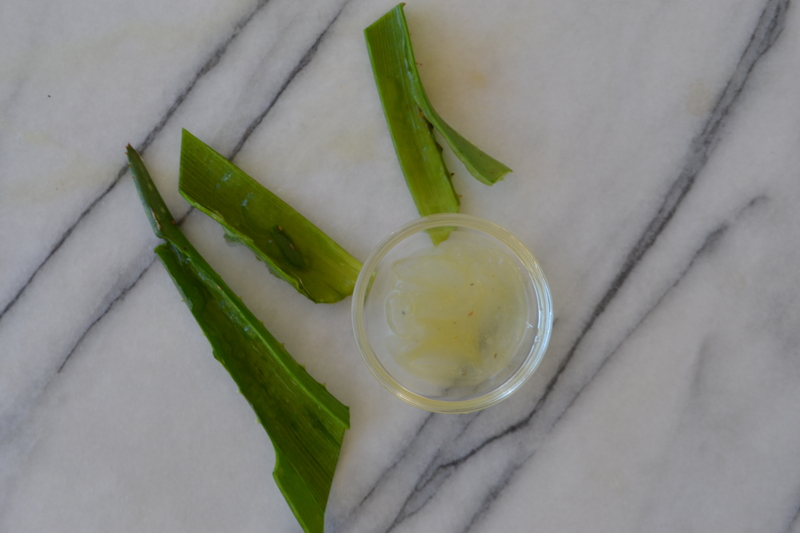 Aloe vera gel is especially soothing to troubled or sunburned skin. This is a soothing lotion you can easily make at home that also contains chamomile tea which is also soothing and has anti-inflammatory properties. 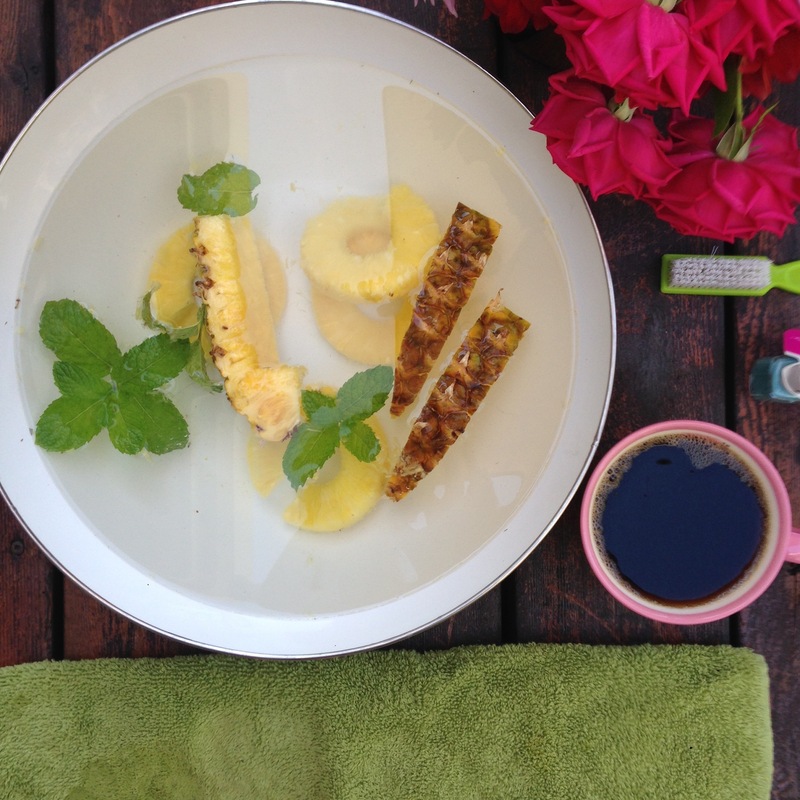 Mix together the aloe vera gel and the chamomile tea. Heat gently, but do not boil for one minute in the microwave or on the stove top. Let the mixture cool and strain off any solids. Add the vitamin E oil and peppermint oil to the mixture and stir well. Pour into a clean container. To use: Massage into clean skin. This simple rinse will get your hair squeaky clean and remove any hair spray or styling gel residue from your hair. If you color your hair many professionals recommend a baking soda rinse, so your hair is super clean and will absorb the color more effectively. Mix together the baking soda and water and stir well. After shampooing and as a final rinse pour the solution over your hair and massage into your scalp. Let sit for one minute then rinse out with warm water followed by a cool water rinse. Tooth powders may sound a bit old fashioned but they are popular today because they are not as abrasive as many commercial toothpastes and do not contain any additives such as sudsing agents (hard soaps and detergents), binders, and artificial flavorings. They are also very inexpensive to make. Try to brush your teeth for at least two full minutes – place an egg timer next to your bathroom sink to keep track of the time. Classic: Baking soda is the classic basic tooth powder because it is a mild abrasive in cleaning the teeth and gums. 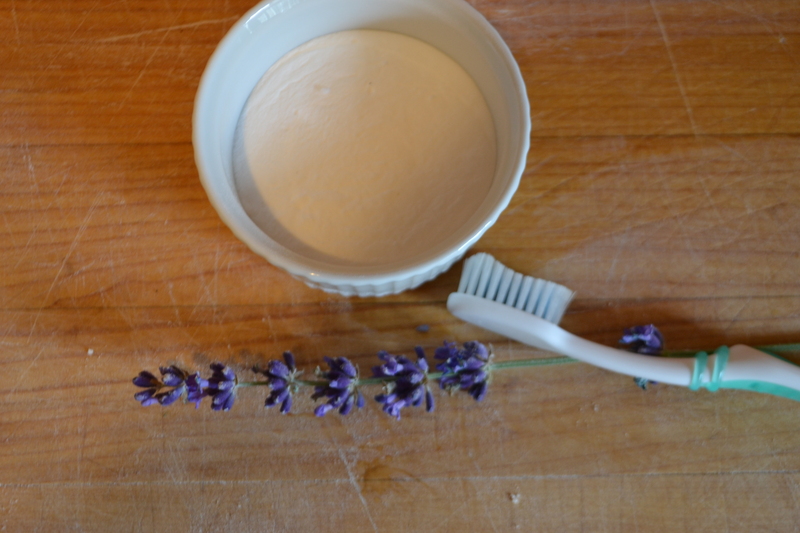 Dip a damp toothbrush in a dish of baking soda and massage your teeth and gums. Baking soda and salt: Mix together equal amounts of baking soda and sea salt to create a gentle cleansing tooth powder. Salt alone can be too abrasive, especially for sensitive teeth and gums but a powerful antibacterial ingredient. Sage: Sage is a natural tooth whitener. Mixed with baking soda and salt, this powder will keep your whole mouth fresh and clean. 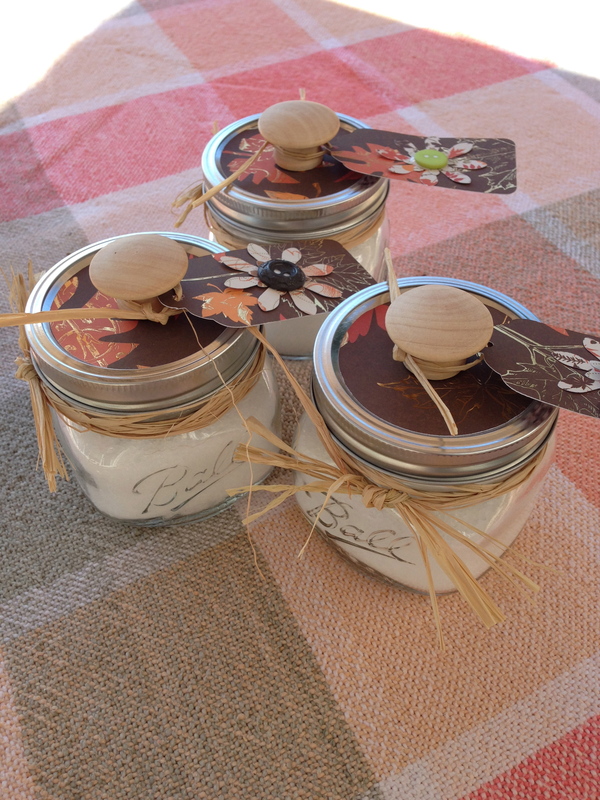 Mix together a teaspoon each of dried sage leaves, table salt, and baking soda. This is the perfect bath after a day of strenuous physical activity or when you just need to relax. You can feel your whole body releasing tension and your muscles softening as you soak. This bath can be drying to your skin so make sure to moisturize afterwards with a rich body lotion or natural oil. Mix all the ingredients together. Fill your bathtub with warm water. Pour the mixture into the bath slowly, allowing the mixture to dissolve completely. Step into the bath and soak for at least 20 minutes but no more than 40 minutes. 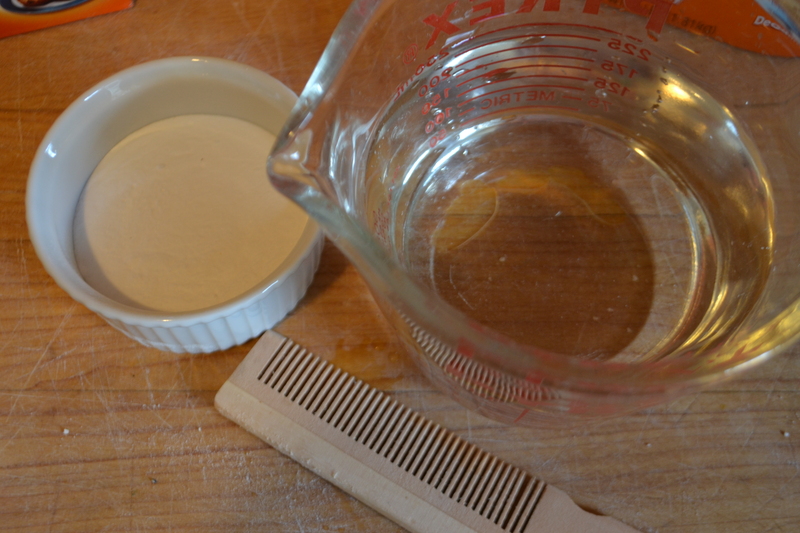 Dry Shampoo: Sprinkle some baking soda onto your scalp, massage in and comb out as a simple dry shampoo. This is effective when you can’t shampoo to freshen your hair. Combs and Brushes: Keep your combs and brushes super clean by soaking them in a solution of hot water and 1 /4 cup baking soda once a month. 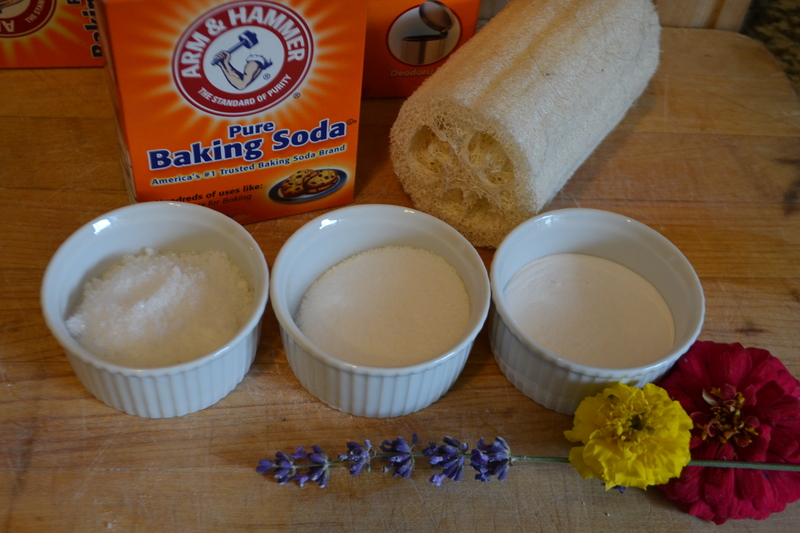 Facial Scrub: An effective and gentle facial scrub can be made using baking soda. Simply mix a teaspoon or two in the palm of your hand with water to create a paste and massage into damp skin. Rinse well with warm then cool water. Sunburn Soother: Soak in a warm bath with a generous amount of baking soda (1 to 2 cups) added. Baking soda can’t reverse the effects of the burn but it can take some of the heat and discomfort out of it. Deodorant: Baking soda can be sprinkled or patted on as a simple deodorant. It contains no other chemicals so is comfortable to use even right after shaving under your arms. 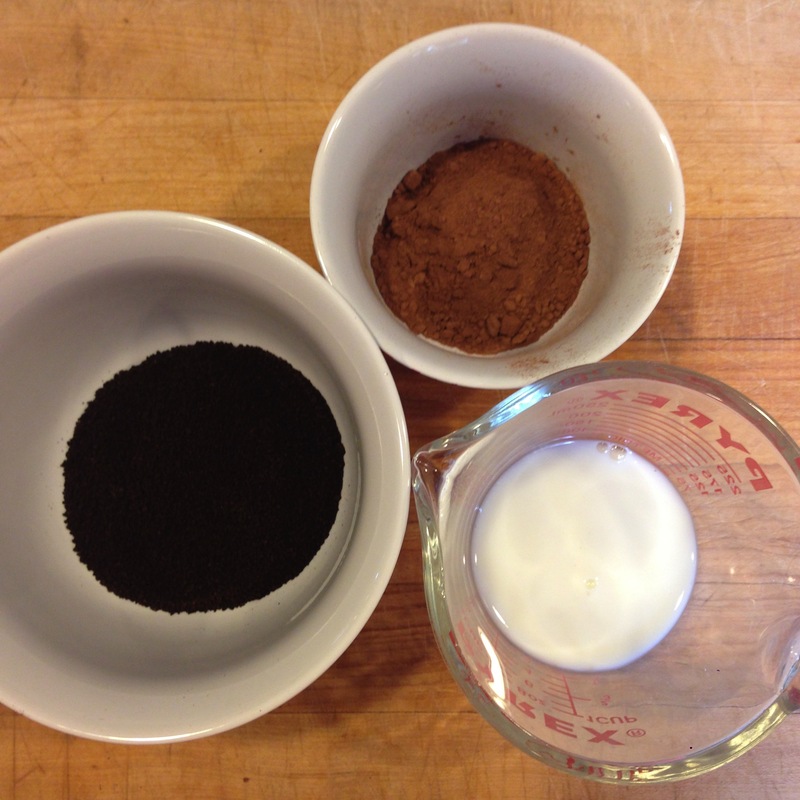 Powder: Make your own body powder by mixing together equal parts cornstarch and baking soda. You can also sprinkle this mixture inside your shoes to keep your feet cool and dry. Nail Care: Clean your nails with a bit of baking soda on a small nail brush. 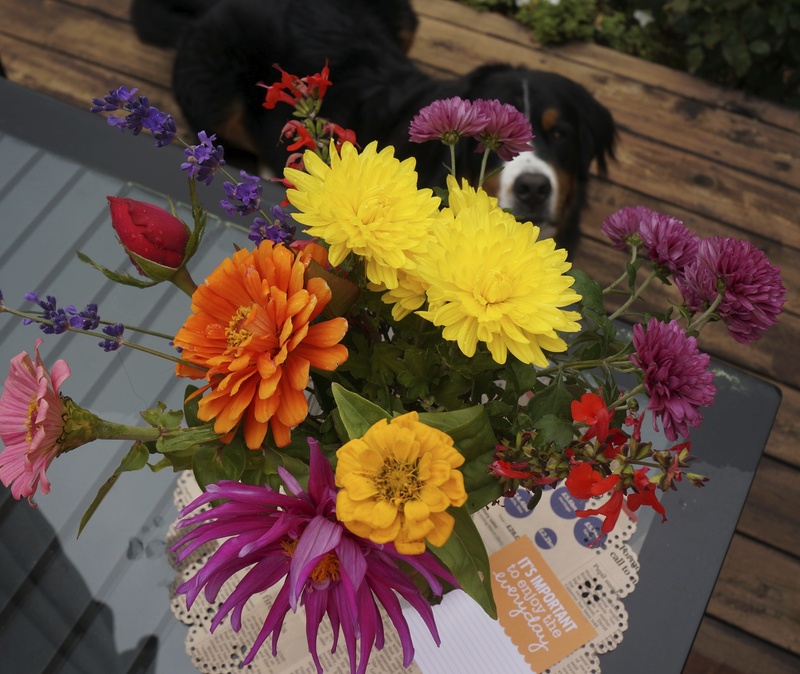 This is especially helpful after working in the garden or other messy jobs. Rough Skin: For classic rough skin spots such as elbows, knees and heels massage a paste of baking soda and lemon juice into your skin then rinse off. 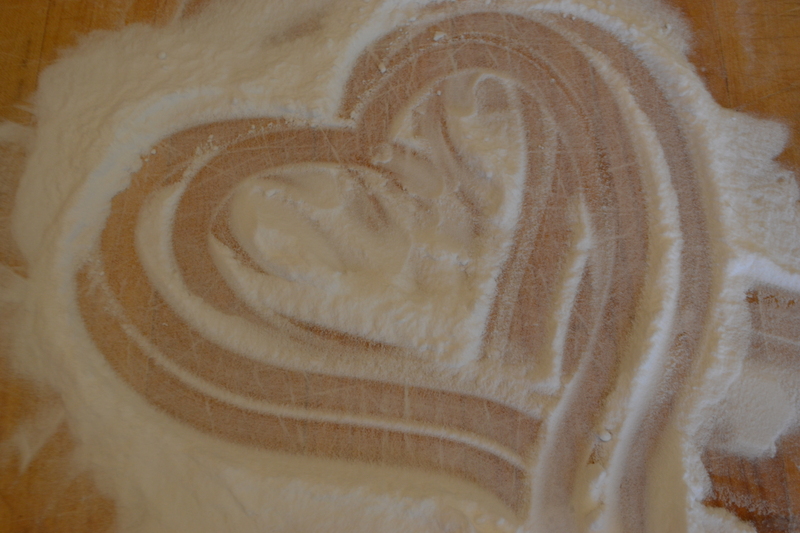 Ok I need to stop haha but as you can see I love using baking soda and it is one of my “must have” at home ingredients. 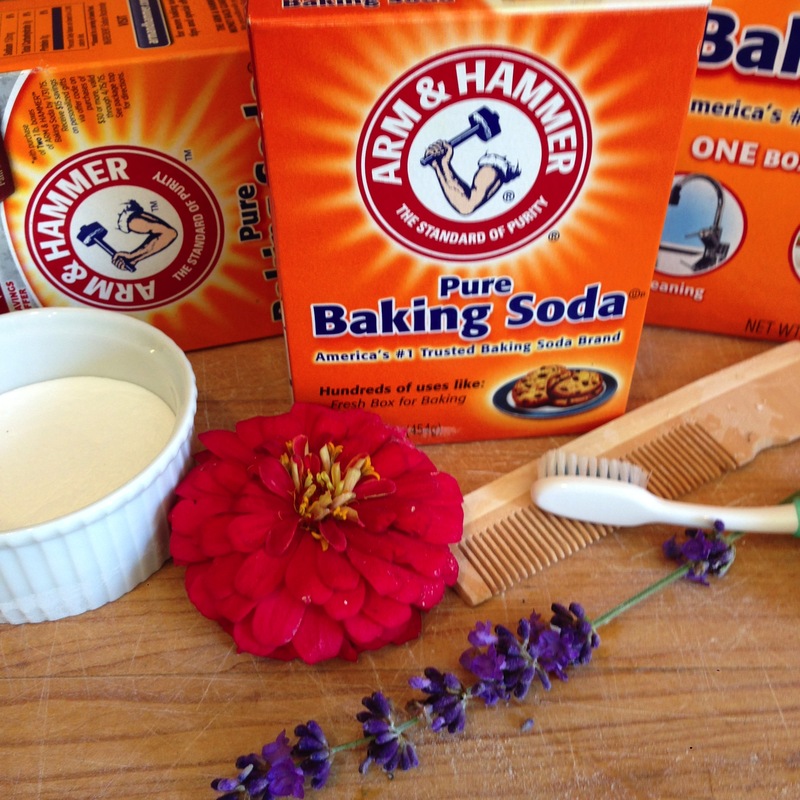 For more ways to use check out the Arm and Hammer website. 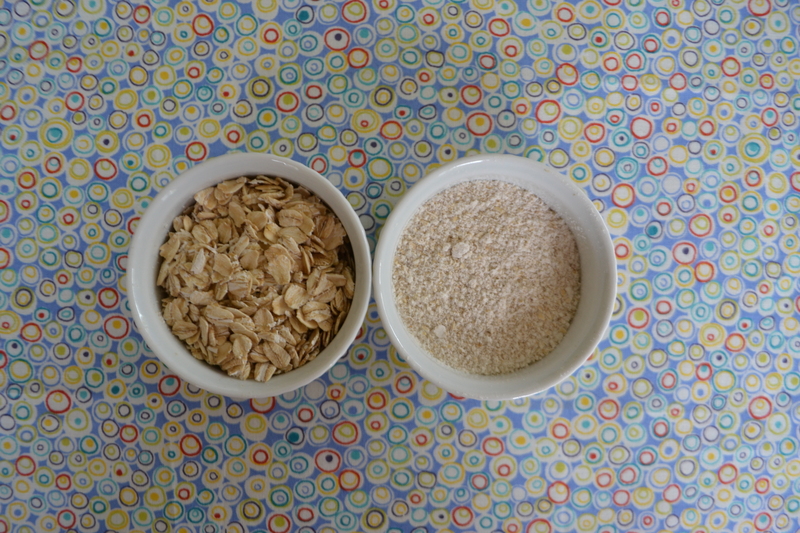 Oatmeal: This common breakfast grain is probably the most popular non-soap cleanser around. It is gentle and mild and can be used by all skin type, especially those with dry and sensitive skin. To use, simply grind whole oats in a food processor, blender or clean coffee grinder until you have fine powder. Mix this with a little water to form a paste and massage this mixture into your skin with a warm washcloth. You may also add 1/2 cup of ground oatmeal to a warm bath to treat and cleanse your whole body. 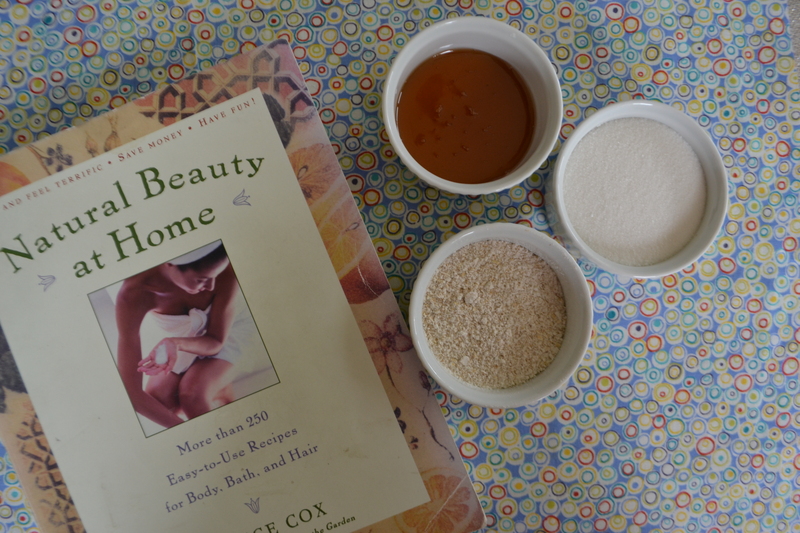 Sugar: Granulated sugar works well as a gentle skin cleanser and scrub. It is not at all dehydrating and is perfect for dry skin types Mix one teaspoon with a bit of water to forma paste and massage into wet skin with a warm washcloth or your fingertips. 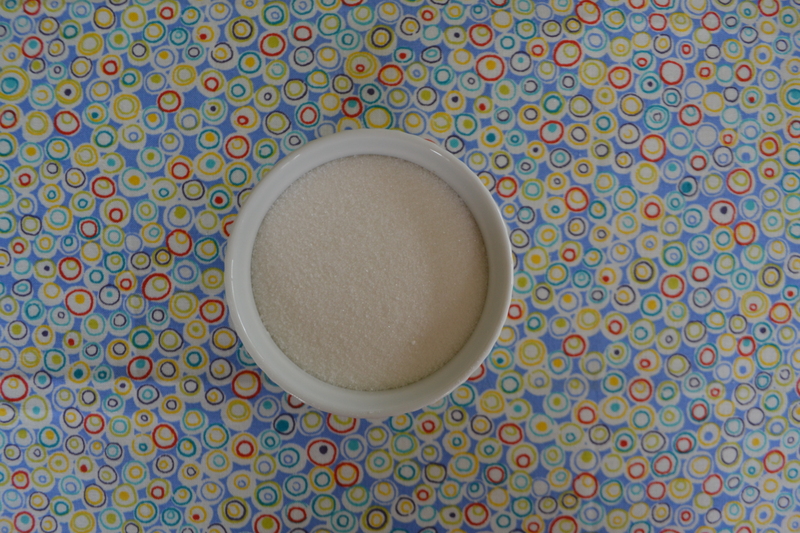 Sugar is gentle enough for your face and whole body. Honey: Use as a skin beautifier since Egyptian times, honey is an excellent skin cleanser. It can be used alone or mixed together with a bit of lemon juice for oily skin types. Simply massage into wet skin as you would any liquid soap or cleanser and fine well. Milk: For clean healthy skin, milk is an instant beautifier both inside and out. It is rich in protein, natural fat, and lactic acid, all of which help clean and detoxify your complexion, leaving it soft and smooth. Make sure you rinse your skin well after cleansing. Other dairy products such as sour cream and plain yogurt also work well as natural cleansers. Many of us wash and shower in the morning to wake up, which is a great day to start the day. But your mother was right, “Never go to bed with a dirty face”. Bedtime and nighttime is the best time to cleanse your skin as it gives it a chance to rest and rebuild while you sleep. Always follow up any cleansing regime with a light moisturizer or natural oil to help lock in moisture and keep your skin fresh and glowing. Hello! 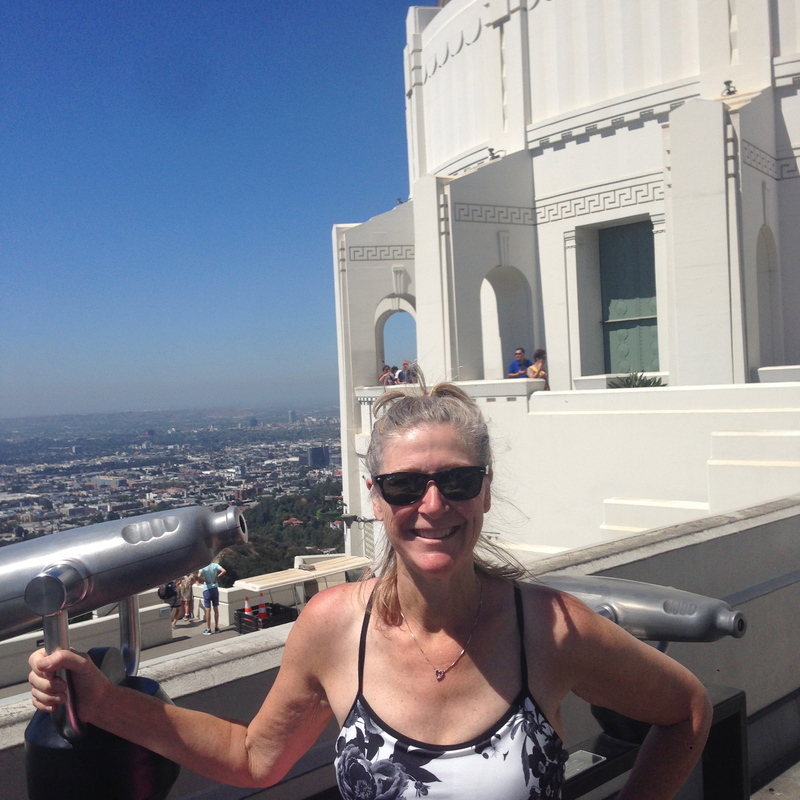 I don’t know about you but I really can’t get going in the morning without my cup of coffee – in face my husband knows that he really cannot discuss anything substantial with me until after at least my second cup. I also love to use coffee in DIY beauty recipes. 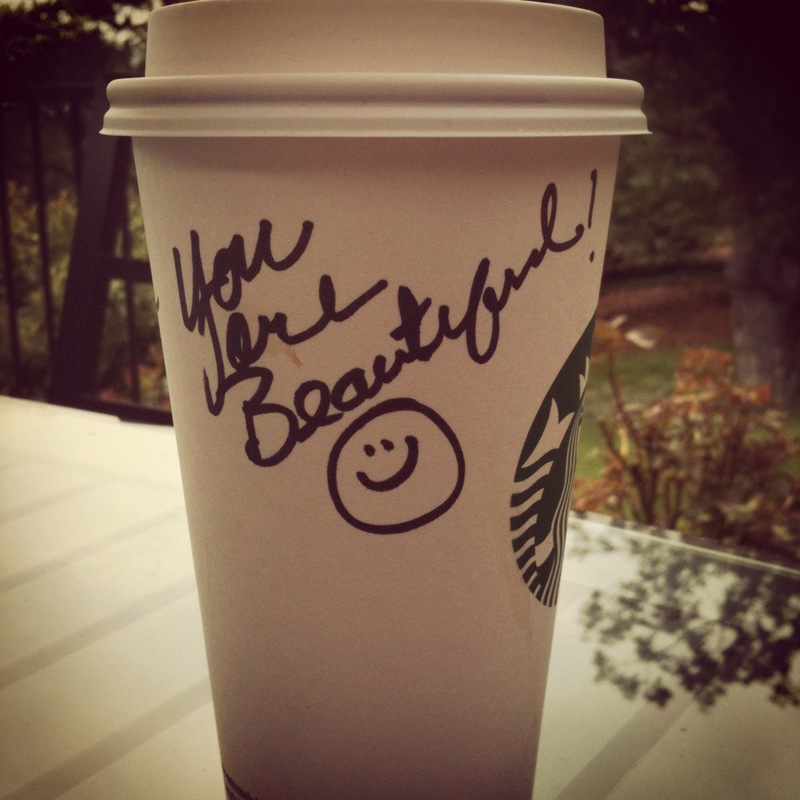 Coffee and caffeine are popular ingredients in skin lotions, creams, masks and body scrubs. 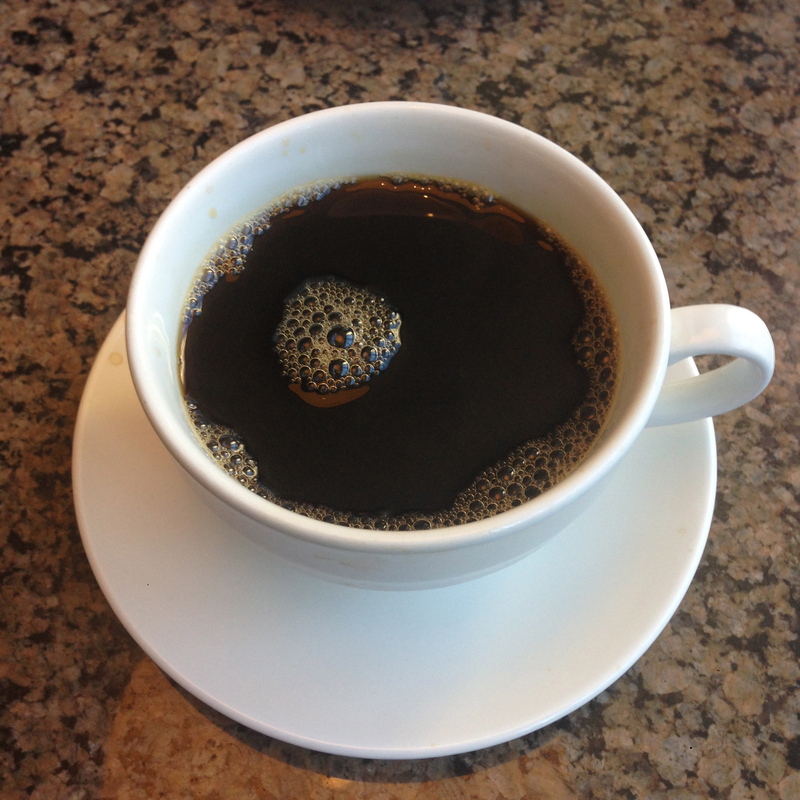 When applied to the skin, coffee is useful as a cleanser and an antioxidant and diuretic. 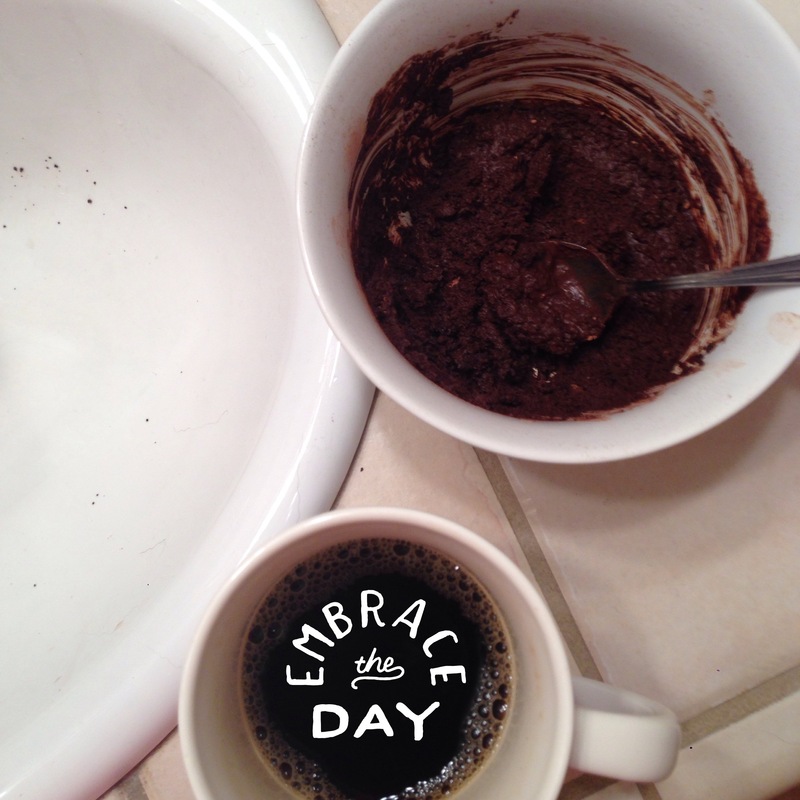 A popular use of ground coffee beans is as a body scrub to reduce cellulite. The caffeine in the coffee dehydrates fat cells by energizing the, which in turn affects the sodium potassium balance in the cells in a way that allows the cells to eliminate a buildup of excess wastes. That is a long explanation for sure — bottom line: You cup of Joe could slim your thighs and energize your complexion! 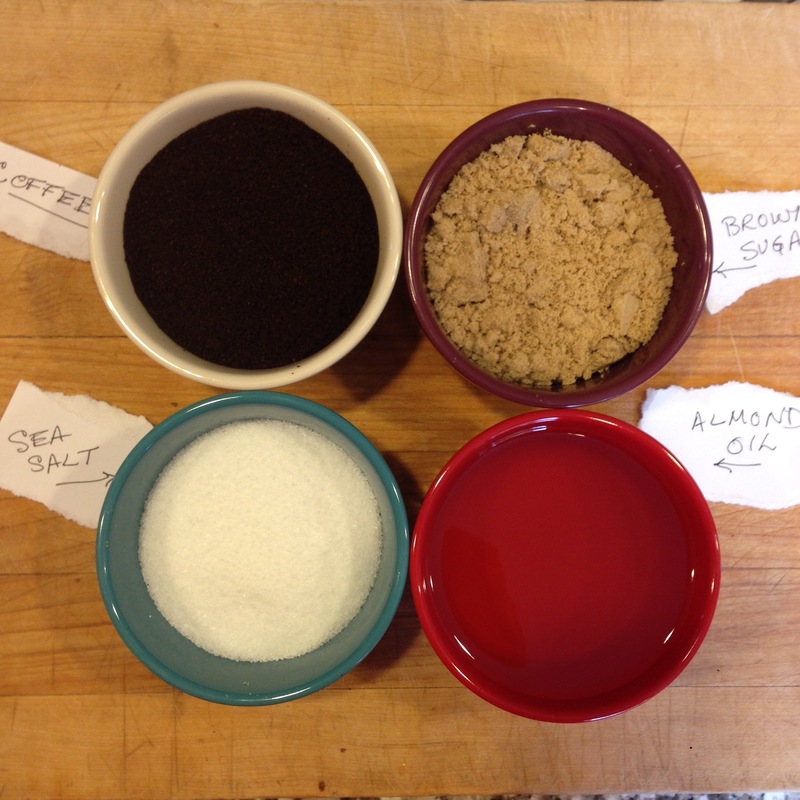 Here are two of my favorite DIY coffee recipes for you to try — Enjoy! This scrub is a great way to boost your circulation and exfoliate your whole body. The massage action is what does the trick so make sure you a good, brisk circular motion and really energize your skin and body. Mix all the ingredients together and stir until well iced. Spoon into a clean jar with a tight fitting lid and store in a cool, dry spot. To use: Massage into clean skin in a circular motion standing in the tub or shower. Use strong, flowing strokes for at least 5 minutes to boost circulation. Rinse with warm water and pat your skin dry. This mask contains two of my favorite ingredients coffee and chocolate. The milk and coffee contain naturally occurring acids that help condition, soothe and perk up your complexion. Stir all of the ingredients together until smooth. To use: after cleansing sprad the entire mixture over your face and neck, avoiding the delicate areas around your eyes and mouth. Leave on for 15 minutes, then rinse well with warm water and apt your skin dry. Have a beautiful day and Let’s do coffee soon! 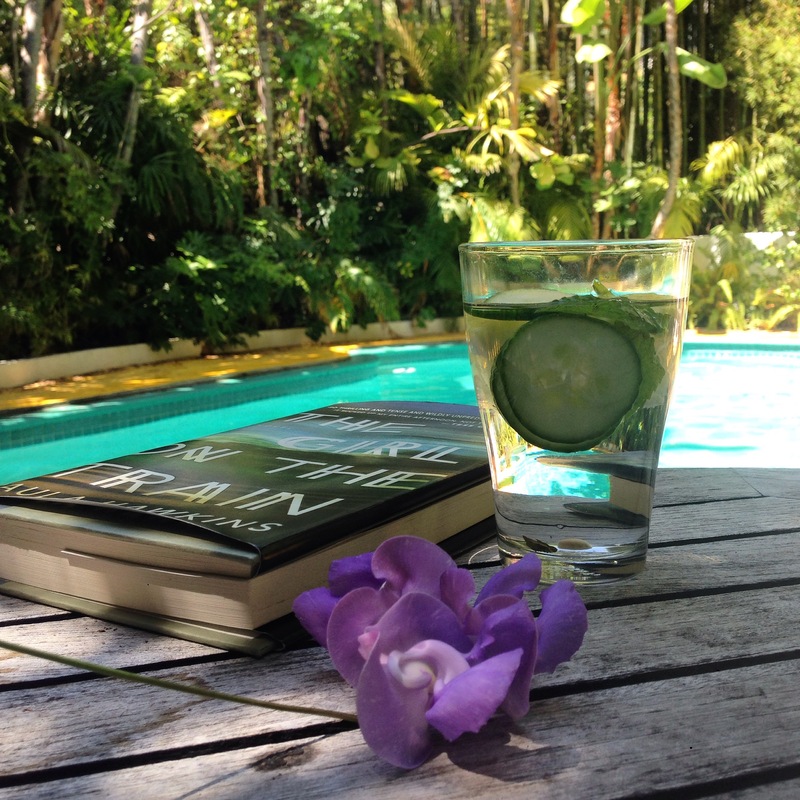 I studied the schedules and wellness offerings at some of the local resorts for inspiration. We had a weekend and three busy schedules to work around but once we started planning and all agreed on a date it was actually very easy. 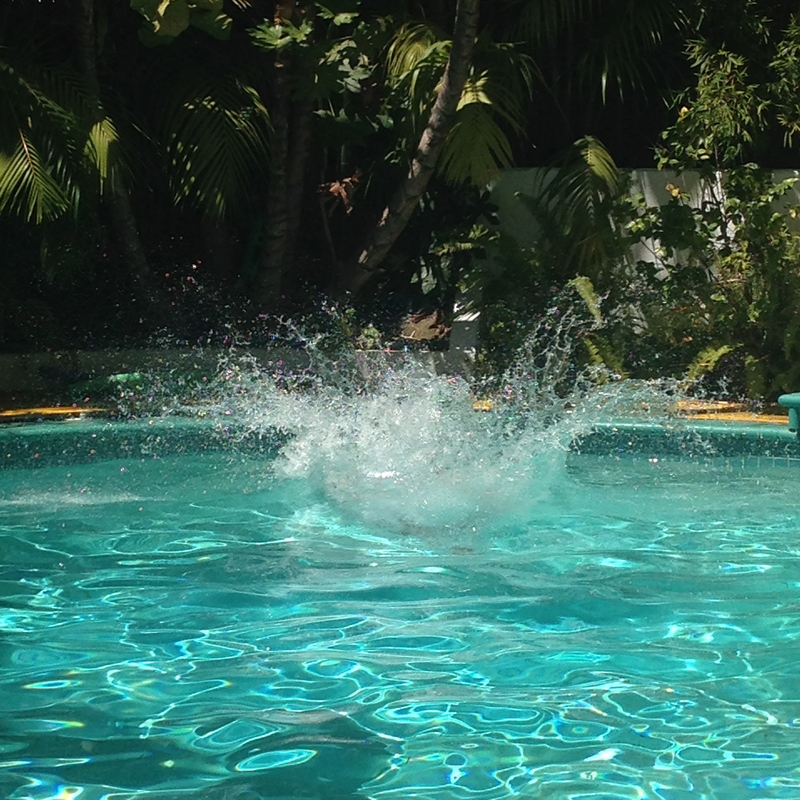 I found an amazing house to rent on AirBnB but you could also do this in your own home (just don’t tell anyone you are home). It is also important to have a talk with your friends and family before your retreat and get an idea of everyone’s goals — both of my daughters really wanted to unplug and eat healthy. I wanted to catch up on some reading and also kick start some healthy exercise. This was our schedule, once we were all together things did get changed around a bit and that was OK — all part of unplugging and going with the flow. 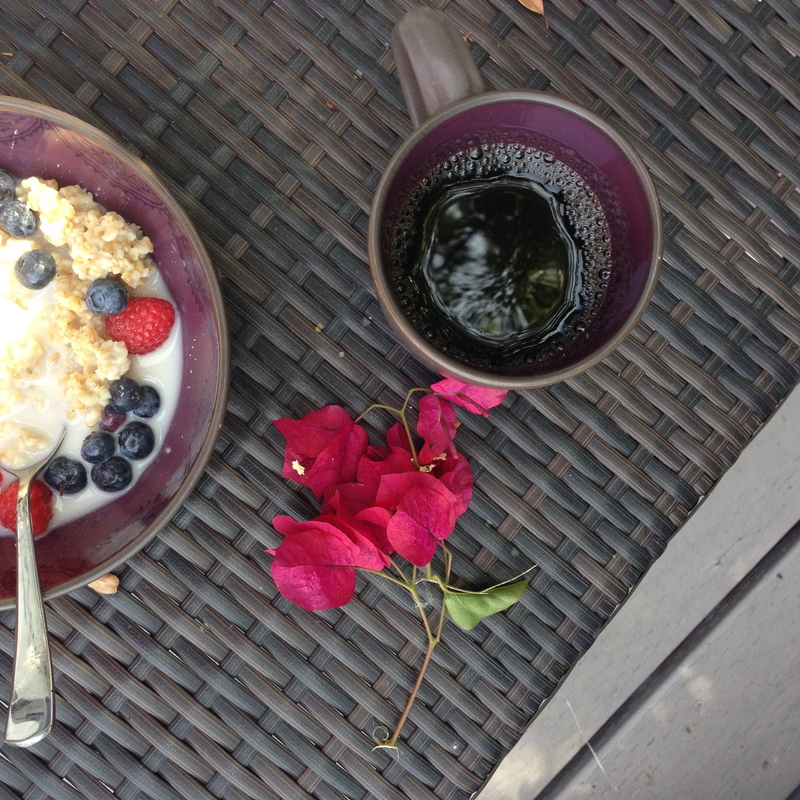 We found that focusing on making super healthy and pretty food was very satisfying for both our bodies and mind. Morning exercise and Relaxation — Everyone wanted to read and stretch after a busy week. We also found time for some DIY beauty. This clay mask is so simple to create using powdered clay and some almond milk or spring water mixed in to form a smooth paste. 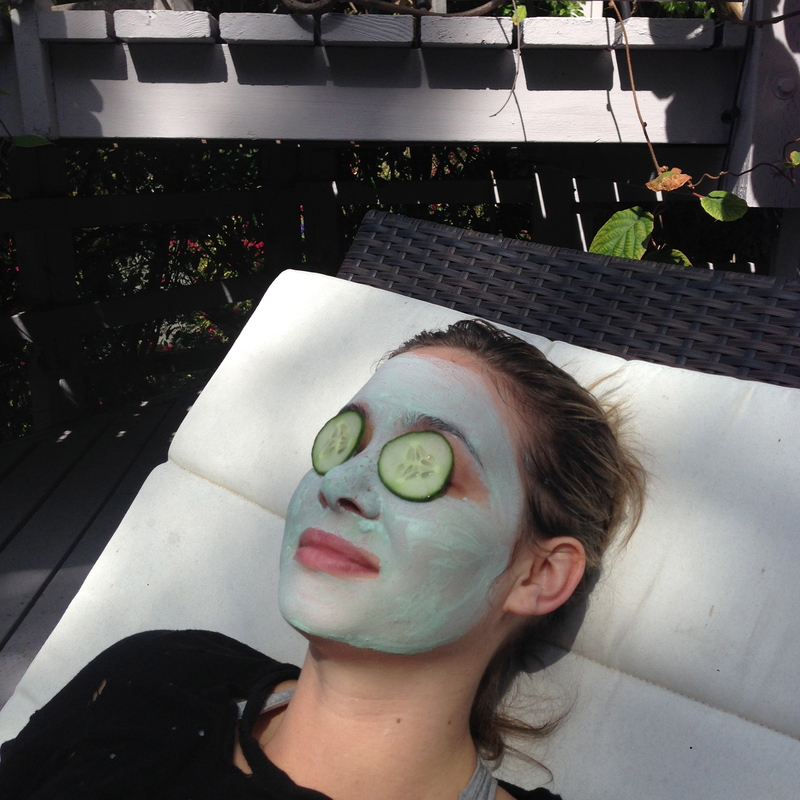 Of course fresh cucumber slices over your eye are a spa must. Afternoon Yoga session – my daughter is a pro and was the leader for all of us. You could also bring a book or watch a DVD for some new moves and positions. 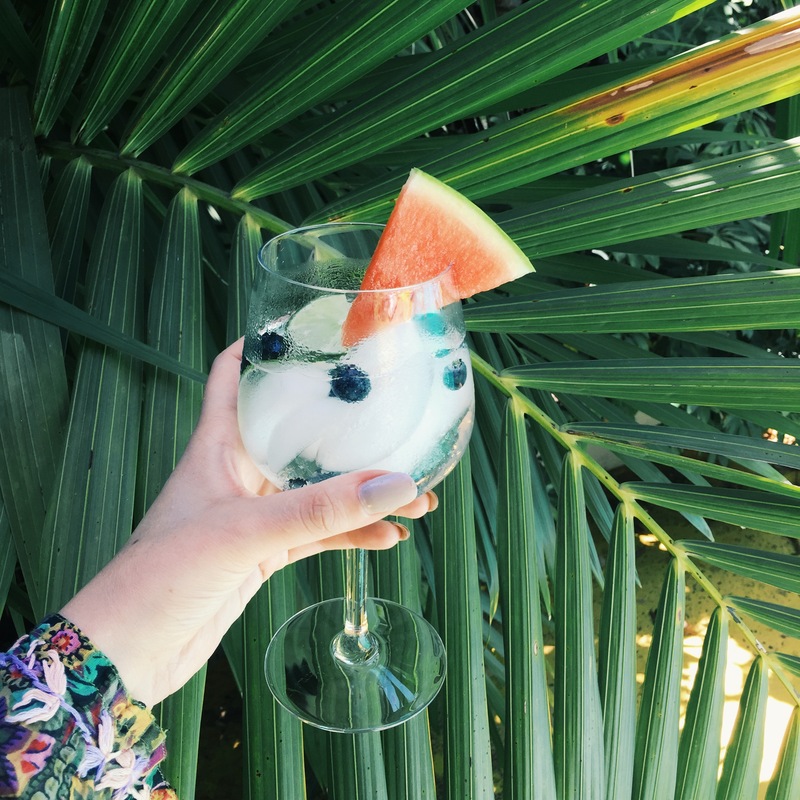 We made sure we drank tons of “spa water” — simply add fresh fruit, veggies and herbs to ice cold spring water so refreshing. Evening Gratitude Session and herbal tea — this was my favorite part of the retreat, as we all came together at the end of the day and really talked and connected. Creative exercise — Doing something creative is very relaxing for your mind. 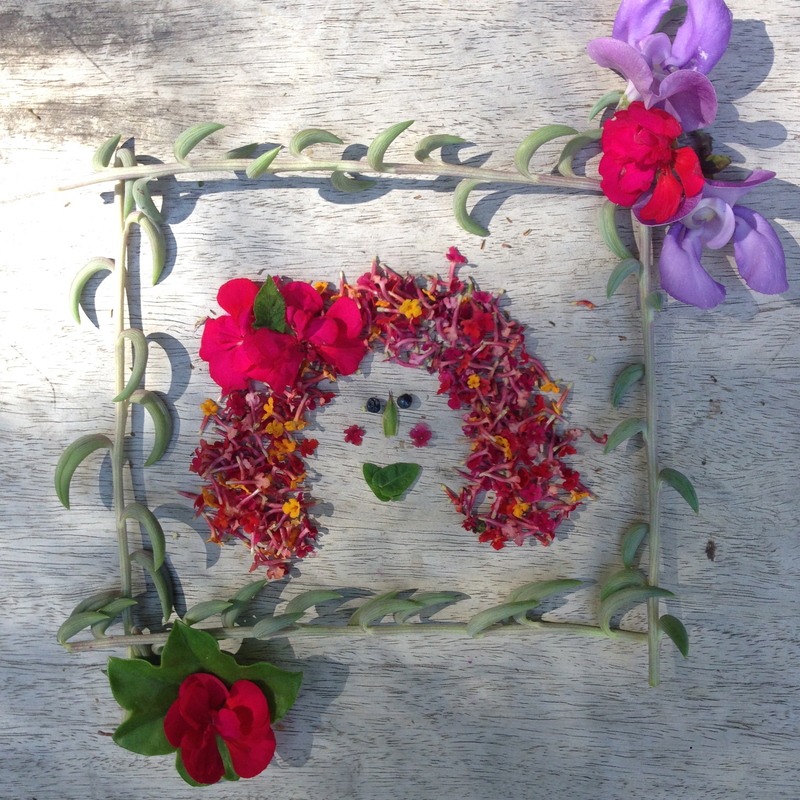 We made floral collages and it was fun to watch them change through out the day as the wind and sun rearranged and dried them out a bit. 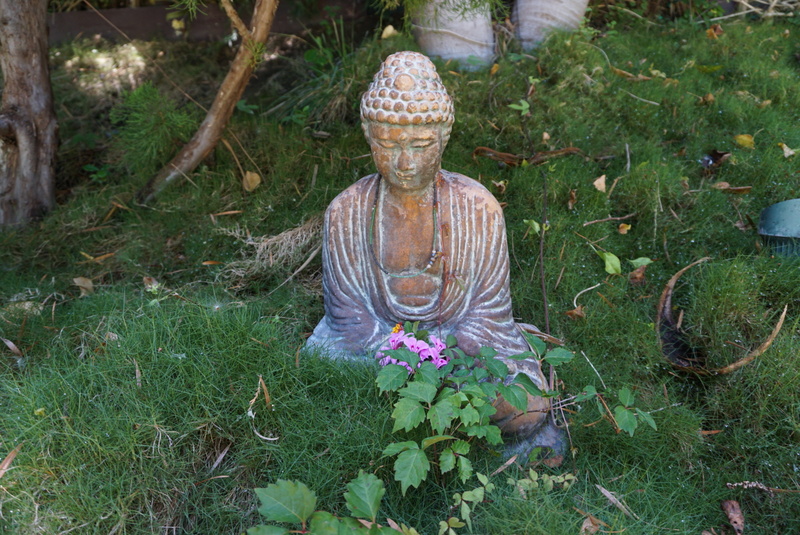 I hope this inspires you to plan your own retreat for a day, weekend or a week — It is so relaxing and a great way to re-connect, recharge and refresh (I know that is a lot of “R” words)It was such a wonderful and special time and just writing this I am refreshed all over again and wanting to plan our next DIY wellness retreat. Summer is over but that does not mean that you can ignore your feet. In fact taking good care of them with a weekly pedicure will enhance your overall health. Wasn’t it President Abraham Lincoln who said “If my feet don’t feel good, I don’t feel good” such wish words in the history of the pedicure. 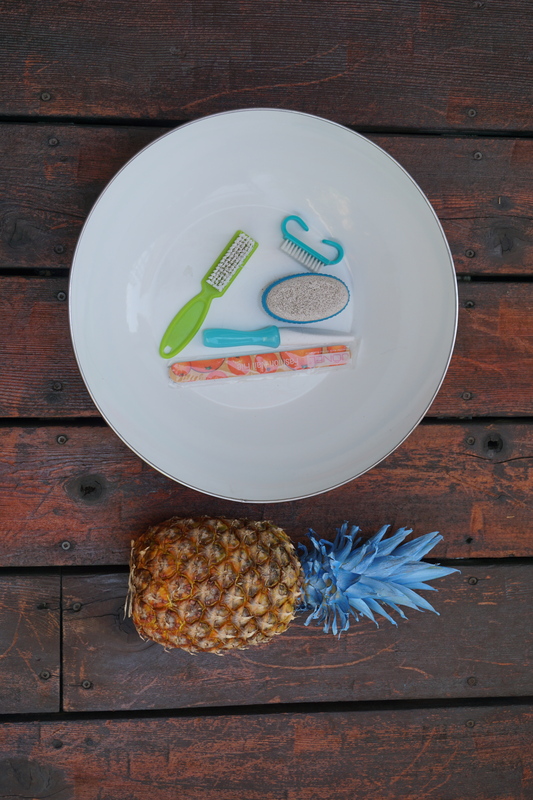 Pineapples are also a well known beauty secret when it comes to softening and cleansing your feet — especially after a summer of going barefoot . Fresh pineapples are rich in the enzyme, bromelain. This active ingredient cleanses and freshens the skin by removing dead skin cells and other surface impurities. You can also use the tough outer rind as a skin scrubber on your heels and soles to get them super clean and soft. If you don’t have access to fresh pineapple you can also used canned but may want to add a few tablespoons of apple cider vinegar as when the fresh juice is canned the heating process kills all of the active enzymes. Apply a bit of natural oil to the base of your cuticles and gently push them back using a cotton swab or orange stick covered in cotton. Be gentle. Clip your nails straight across to avoid ingrown nails. Do this step after soaking as wet nails are easier to cut and you get a cleaner cut. Rinse your feet and massage a rich natural oil or foot cream into them. Give yourself a bit of a foot massage too. There you are healthy and happy feet! 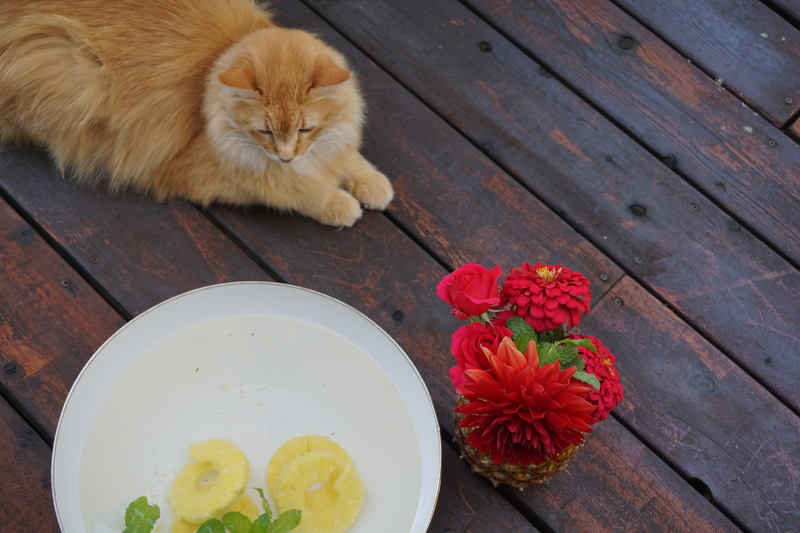 Here is a behind the scenes shot I had to include as my cat seems enchanted with the pineapple foot soak – it does smell amazing! September is National Honey Month, so of course I have to post something about one of my favorite natural beauty ingredients. 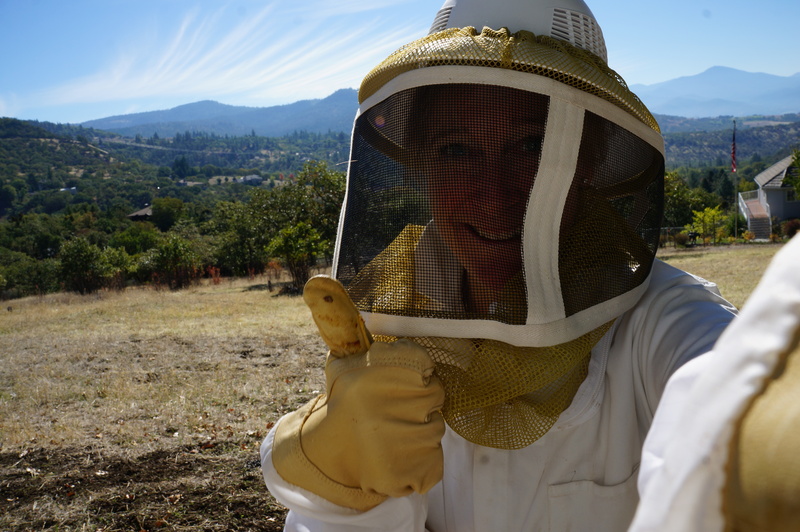 This summer I added a bee hive to my garden and the results have been amazing. “Busy as a Bee” is so true these super pollinators are constantly working to make the world a better place full of fresh flowers, herbs, fruits and vegetables. Honey is made by bees from the nectar of flowering plants and trees and contains many vital vitamins and minerals. 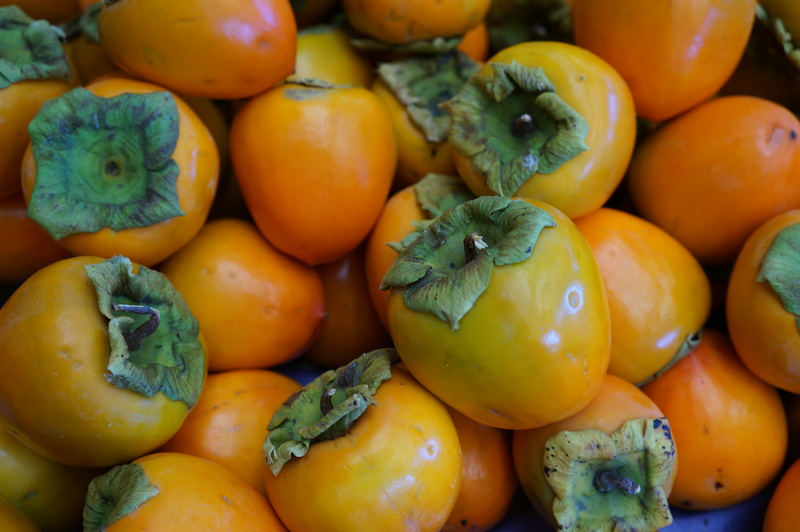 It has a very high potassium content which makes it almost impossible for bacteria to survive in it. 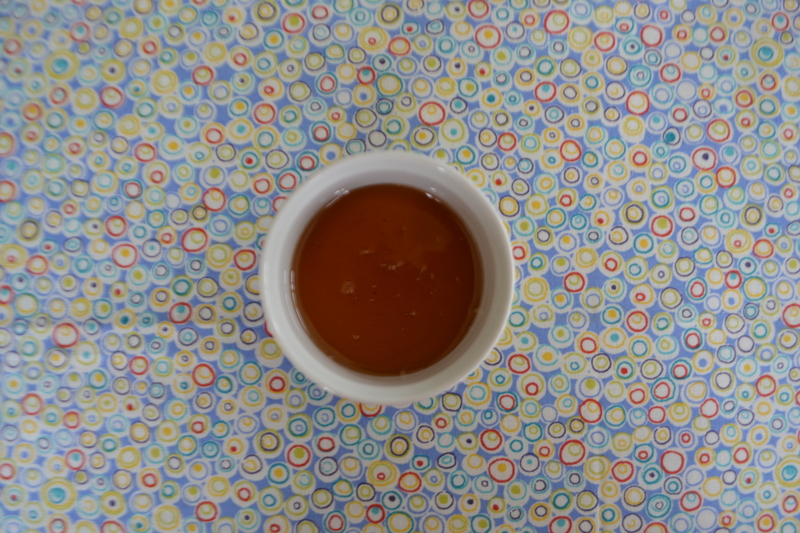 Honey is one of the best-known humectants (materials that hold moisture). 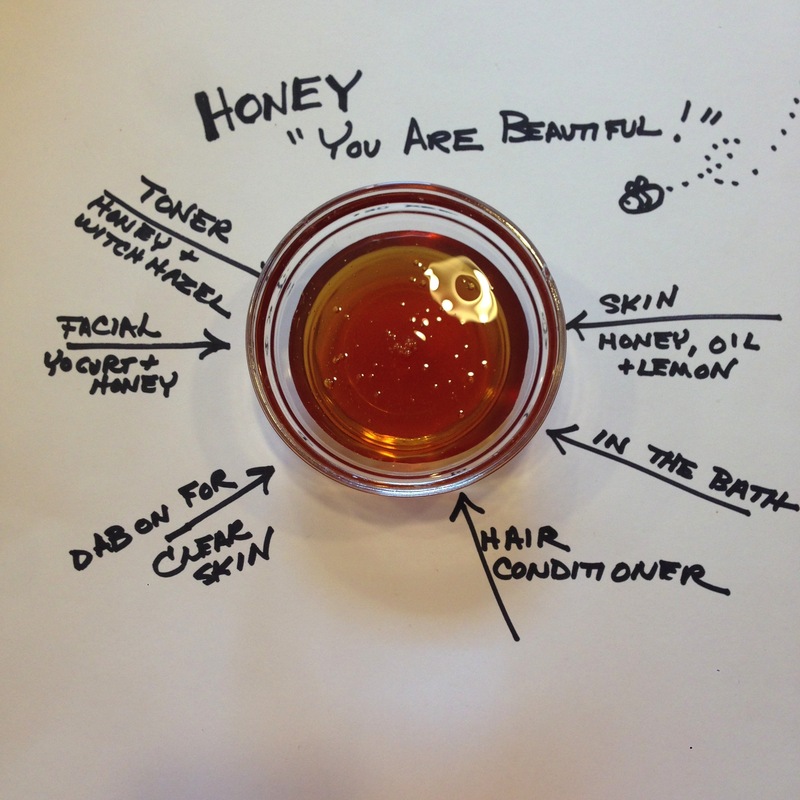 My favorite way to use honey is in the bath: a tablespoon or two makes your skin feel like silk! If you don’t have your own bee hive not to worry honey is easy to find at your local grocery store or local farmers market. Here are a some more ways I like to use honey. 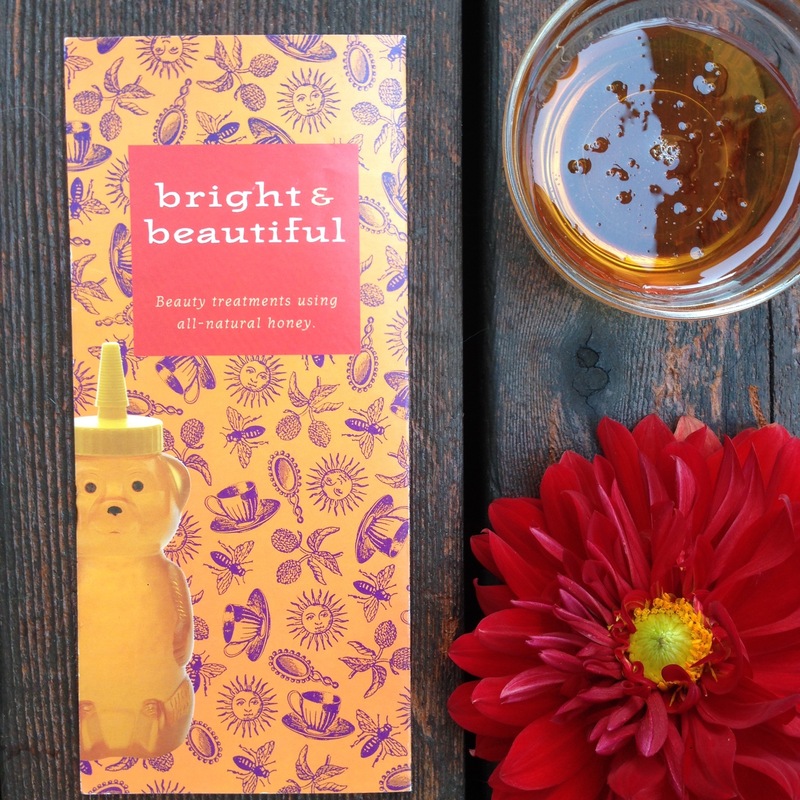 I even have a “Honey Bear” in my bathroom as a beauty staple. Honey can do great things for hair that has been mistreated and damaged by giving it back color, moisture, body, and shine. It may seem a little sticky but well worth it. Don’t worry it rinses out of your hair very easily. 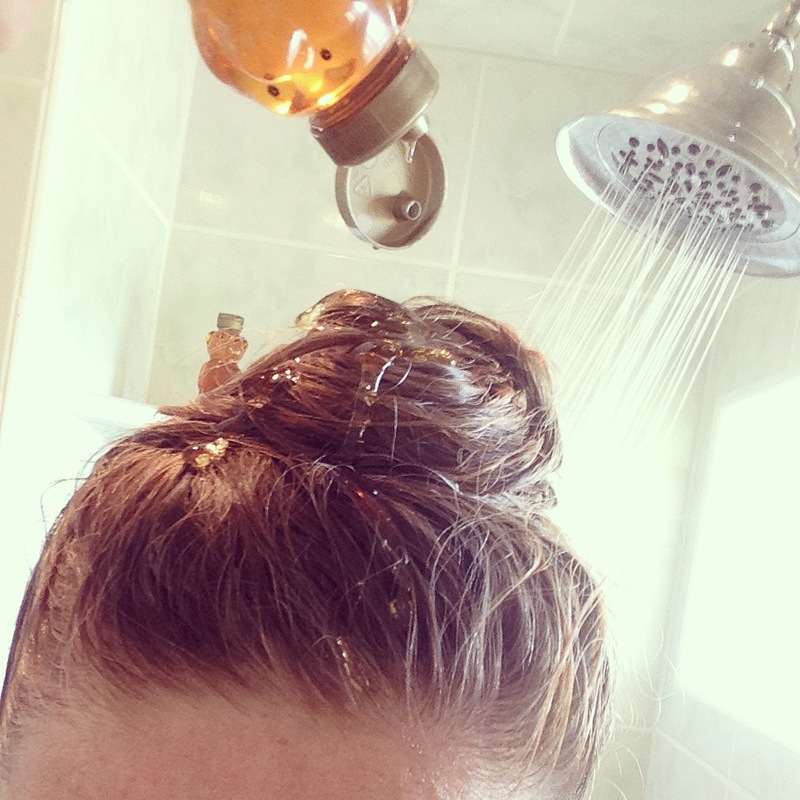 massage the honey into your hair and leave on for 20 minutes. You may cover your head with some plastic wrap or a shower cap. Wash and condition your hair as you do normally. 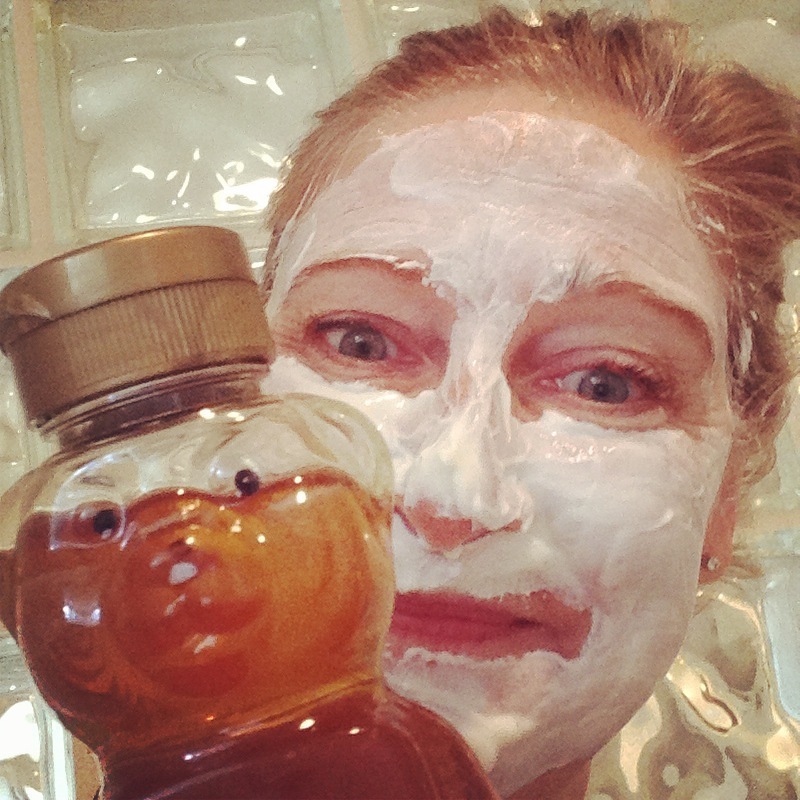 One of my favorite facial masks is pure honey it is simple and perfect for cleansing and refreshing tired skin. Honey also makes an excellent treatment for blemishes simply dab a bit on a breakout in the evening after washing your face and before going to bed. I also love using plain yogurt as a simple facial mask weekly so this recipe combines both of these natural beauty ingredients into one super skin treatment. 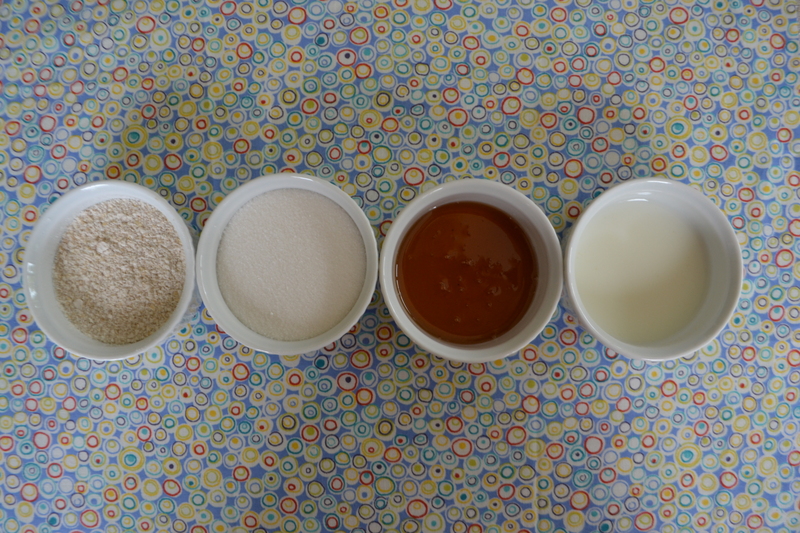 Mix the yogurt and honey together until smooth. Spread on clean skin and let sit for 15 to 20 minutes. Rinse with warm then cool water and pat dry. haha I look a bit crazy here but hard to take a cute selfie with honey and yogurt on your face. For more recipes check out my book Natural Beauty at Home. Also few years ago I helped the National Honey Board with a beauty pamphlet they are a great source of info on all things honey. It’s apple picking season and you know what that means — fresh apples, apple cider, apple pie, apple butter and APPLE BEAUTY PRODUCTS! 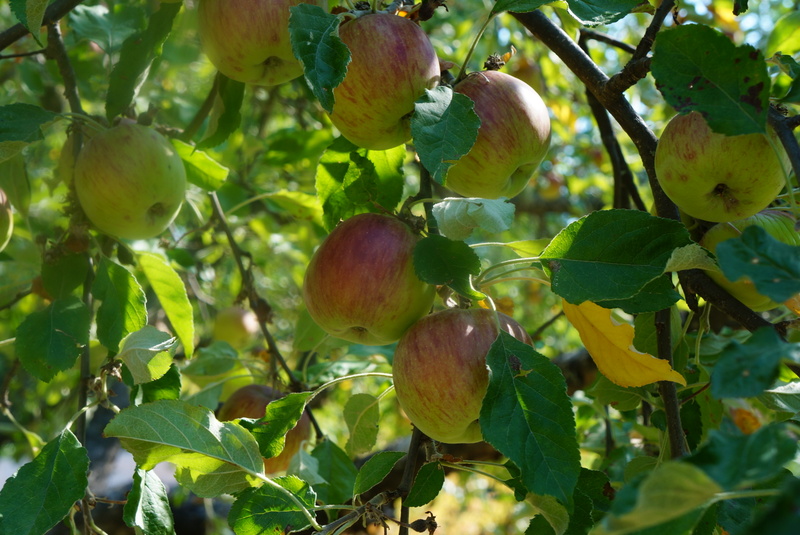 Some of the oldest folk remedies include apples. They have been known for centuries for their skin-healing power Apple juice makes a breath sweetening mouth rinse and can also be used in skin toners and in the bath. The juice contains malic acid, which acts as an antioxidant in cosmetic recipes and amylase, which is an exfoliating enzyme useful in removing dead skin cells and surface dirt. Apple juice can even be used as a hair rinse to control dandruff. The seeds re mildly poisonous and not be used. So let’s get picking! 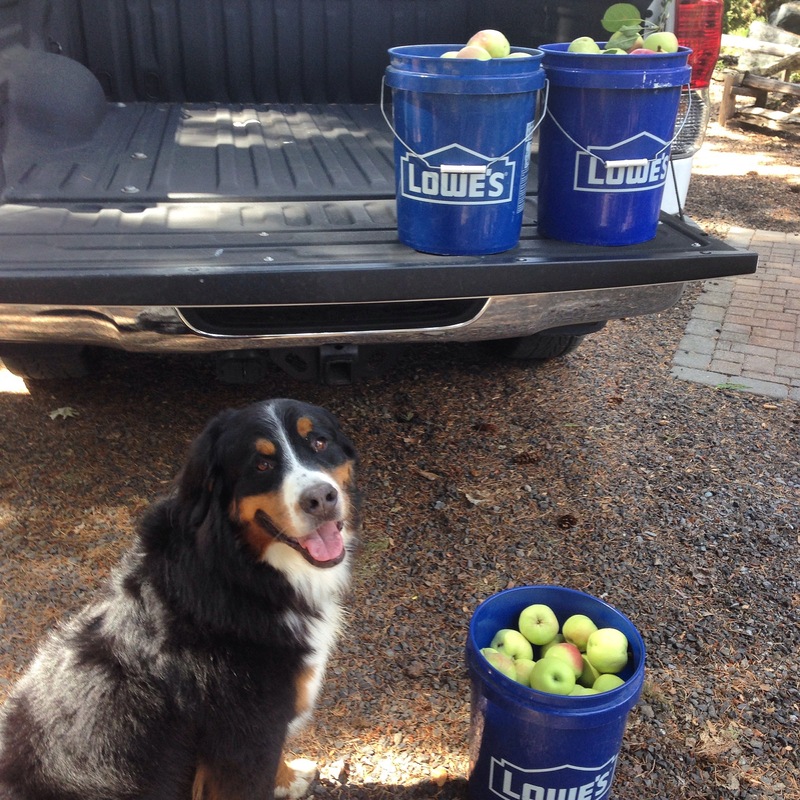 I love using those big blue buckets from Lowes and have dozens of them. They only cost a few dollars and really last and are easy to clean. Of course my dog Elvis loves to go apple picking too! So now that you have your apples from your own tree, a local orchard or even the grocery store here are a few recipes for you to try from Natural Beauty for All Seasons. Apples are 85 percent water and high in vitamins A and C, and potassium. 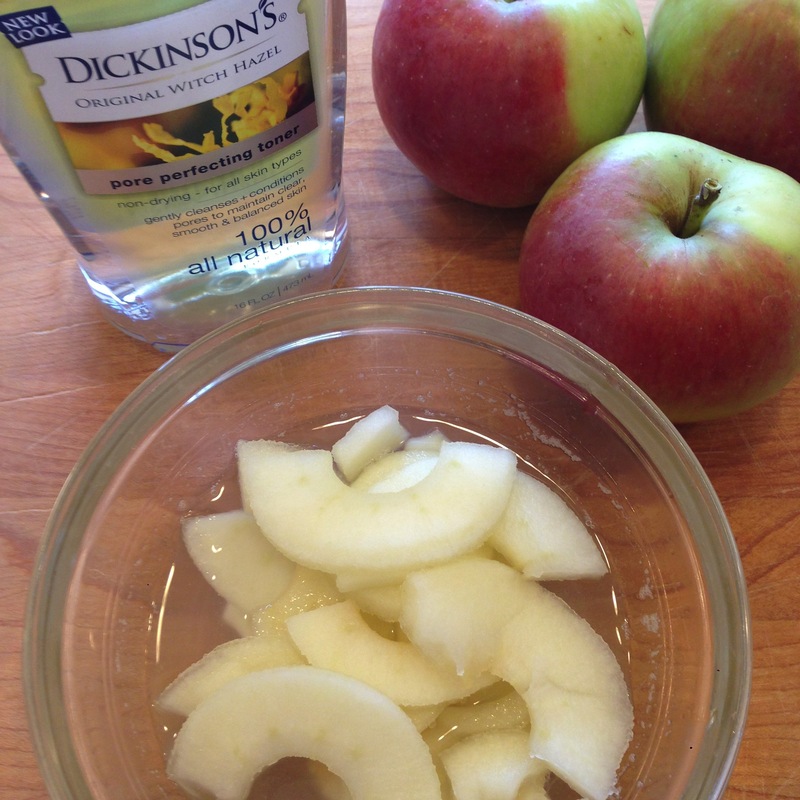 Apple pectin is a natural thickener and is often used in recipes as an alternative to gelatin. When applied as a facial toner, pectin is soothing and refreshing for all skin types. 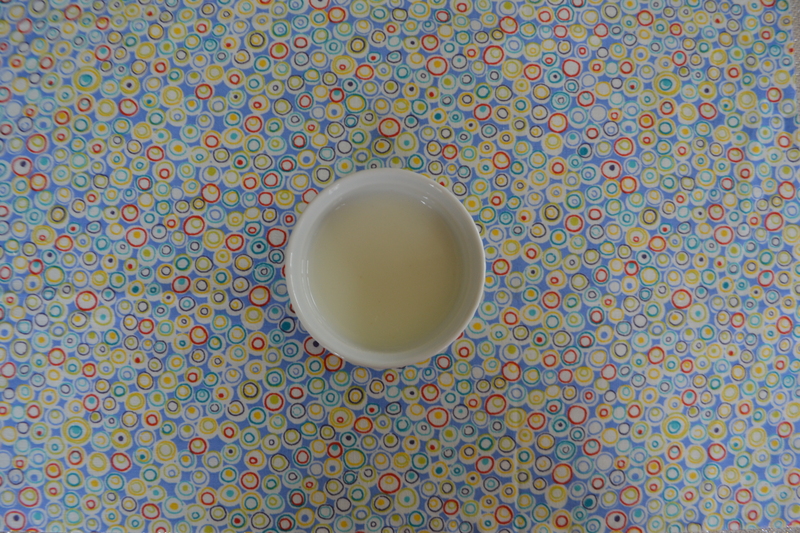 Place the apple in a small saucepan with water and brine to a boil. Remove from the heat and allow to cool completely. Strain out apple pulp and pour liquid into a clean container add witch hazel. To use: spray or apply to your skin with a clean cotton pad. Agatha Christie the great mystery writer loved to take long hot baths and eat fresh apples. Which sounds like the perfect way to relax and be healthy to me. Apples are naturally astringent and contain malice acid, which helps remove dead surface cells, leaving the skin smoother. Stir together all the ingredients and pour into a clean container. To use: Pour 1 /2 cup into the tub under running water. You may need to shake gently to remix between uses. 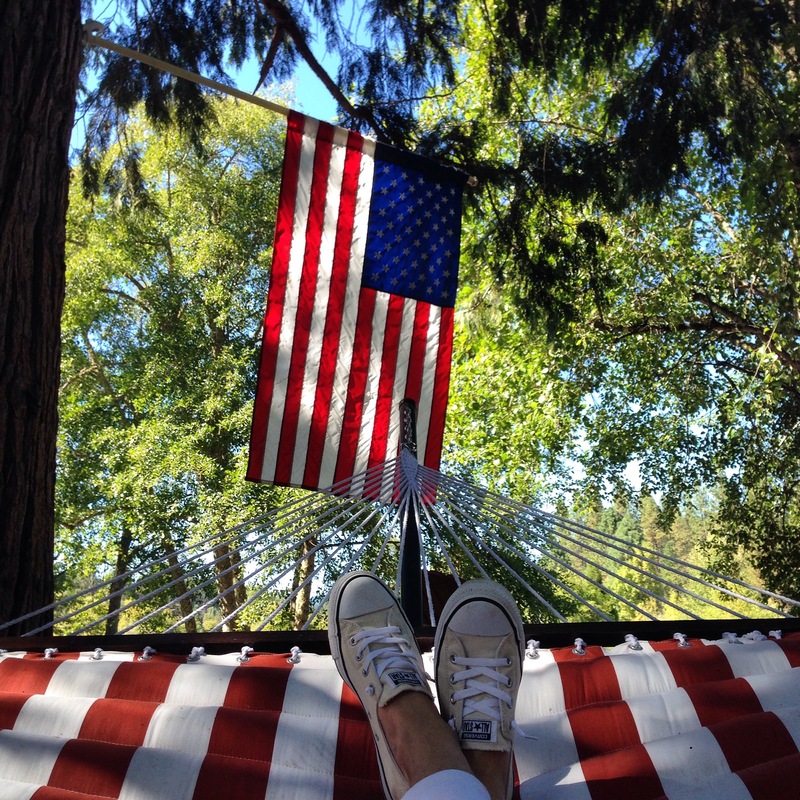 Relax America this is your day to unwind, rest and relax! Labor Day is a day to celebrate hardwork, passion and what made this country strong! So if you want to be a bit lazy today – you’ve earned it! Mix together all ingredients and spoon into a clean container. To use: Stand in the shower or tub and massage a small amount of the scrub all over your body to gently exfoliate and moisturize your skin. Rinse well afterward. Labor day also marks the end of watermelon season and this summer I have been drinking my watermelons. It is so easy and a great way to start the day. Here is what I do. Peel your fresh watermelon and chop up. Place in a blender or food processor with some coconut water, lemon juice and fresh mint. Blend and enjoy! 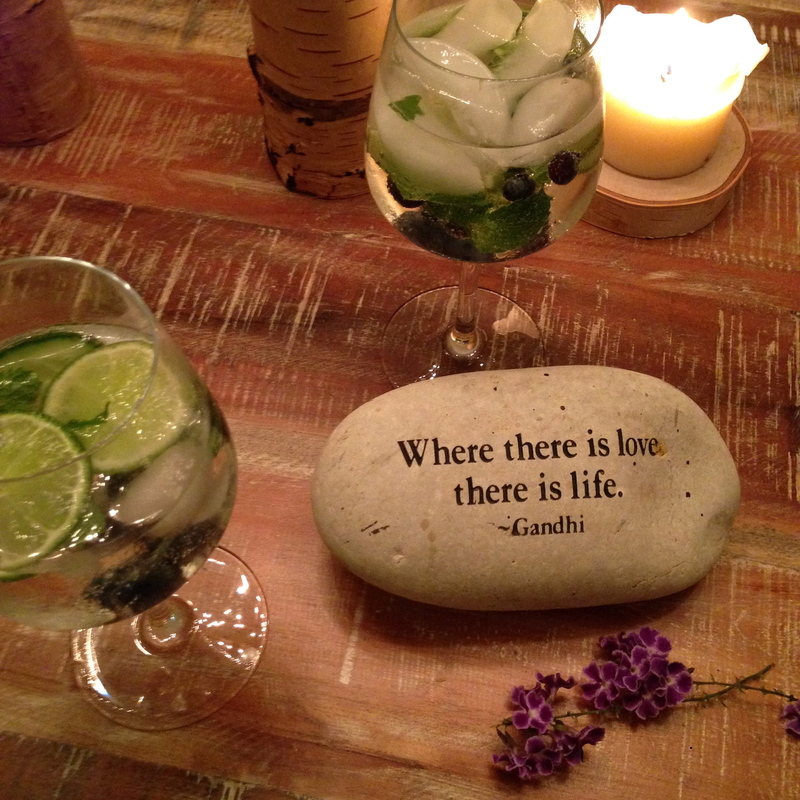 So easy and so good for you. 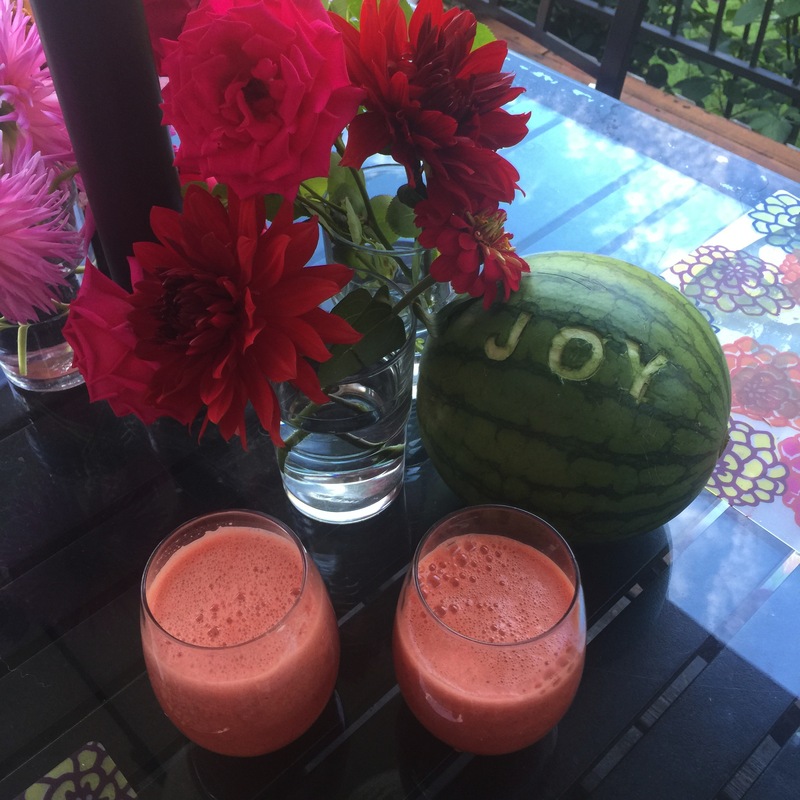 Oh and if you want to know how I got “JOY” on my watermelon super easy with some stickers and a sharp knife. I saw the idea in Womans Day Magazine. 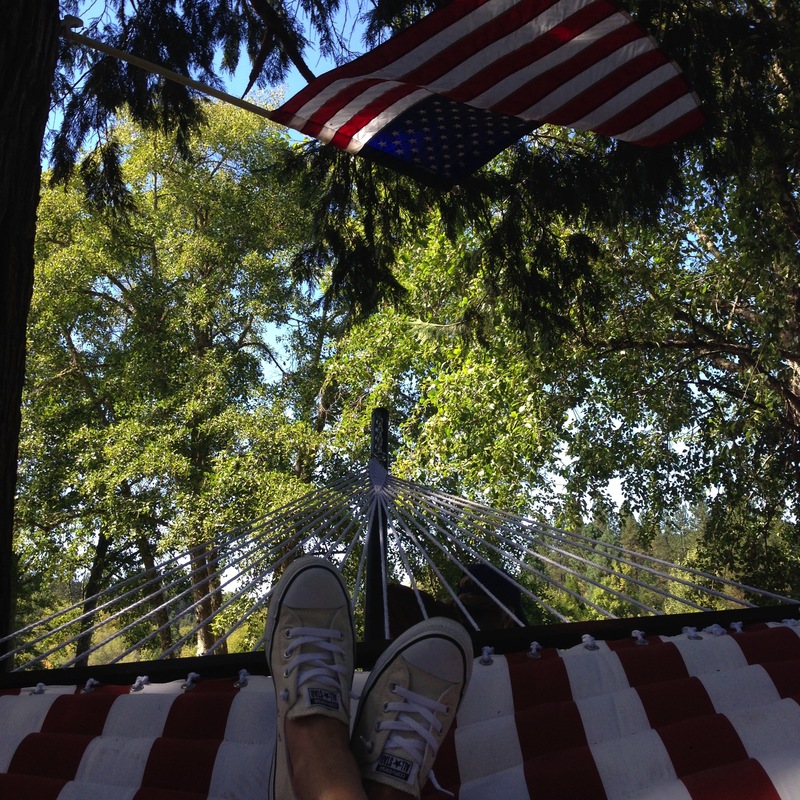 Ok back to my hammock!